Xiaomi's Redmi Y3 with 32MP super-selfie front camera is slated to make its global debut in New Delhi next week. Last week, Xiaomi teased the impending launch of the Redmi Y3 in India and now, the company has finally revealed the D-Day details. Xiaomi India has invited media outlets for an event scheduled next week on April 24 and has officially confirmed that the Redmi Y3 will come with 32MP selfie camera. It can be noted this will be a global debut, second after the Redmi Note 7 Pro. India has steadily grown in to as the go-to-market for all mobile-makers. It is the fastest growing smartphone business arena, as China, US, Europe and other developed regions have reached a peak in terms of mobile penetration and people are retaining their old phone a little longer than anticipated, while a half a billion in India are on the verge from moving from keypad-based feature mobile to full-screen smartphone. Coming back to the topic at hand, Xiaomi Redmi Y3 is expected to come with a dot-notch display with most probably HD+ resolution, 4,000mAh battery and also boast 2Pi water splash resistant coating similar to the Redmi Note 7 series. On the back, it is said to sport a dual-camera, a fingerprint sensor and come with the polycarbonate-based shell. As of now, there is no word on the cost of the Redmi Y3, but if history is taken as any indication, Xiaomi will likely to be priced Rs 9,999 or lesser depending on the RAM+Storage configuration and also do not cannibalise the Redmi Note 7 Pro's sales. 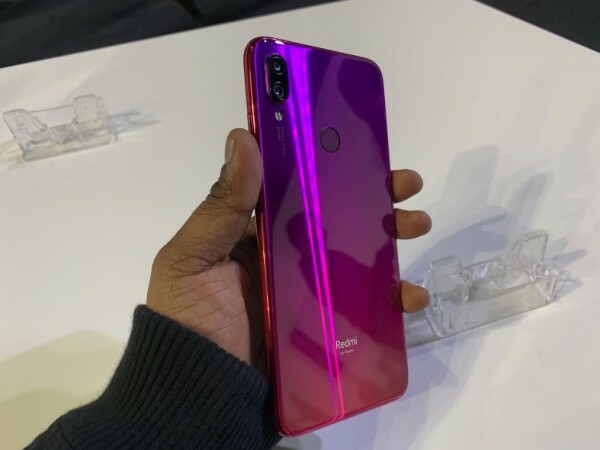 Recently, Xiaomi announced that the company sold more than 1 million units of the Redmi Note 7 (including 7 Pro) series and this apparently gives us the definitive proof that Xiaomi still rules the Indian market, despite the heavy competition from Samsung, Realme, Asus and Honor, among others which in recent past have launched phones with similar specification. I believe the price of the Redmi Note 7 series has been the single biggest factor for the Xiaomi to continue the winning streak and with the launch of the upcoming Redmi Y3, it is expected to further widen the gap between the rivals.